Several of the coaches and administrators who were swept up in the college admissions bribery scam had long left the posts where they did their dirty work. Others, like UCLA men’s soccer coach Jorge Salcedo, were still employed by the same schools right up until the very day the FBI blew up their spots. Salcedo was placed on administrative leave soon after the news broke last week. 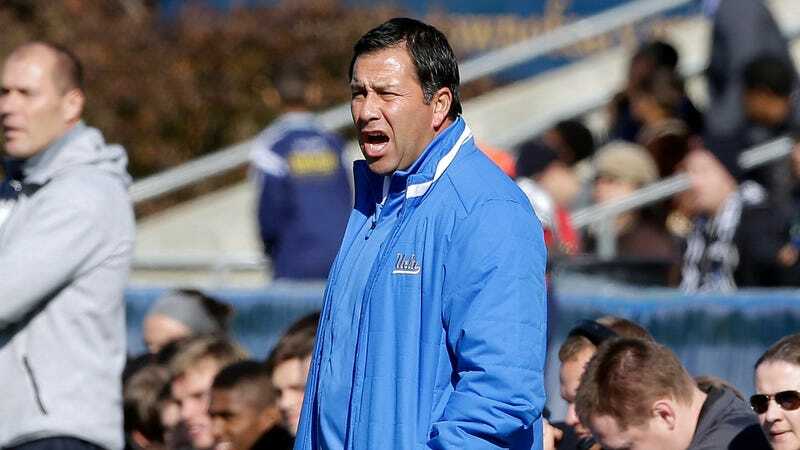 On Thursday, after 15 seasons and a 182-89-42 record, Salcedo resigned, adding a hurdle of “must actually play soccer” for all aspiring UCLA strikers. He has been indicted for conspiracy to commit racketeering.